I've been itching to use this gorgeous stamp by The Greeting Farm. Her name is Blush Babette and she's available from Craft-A-Lot. I just love her hair! 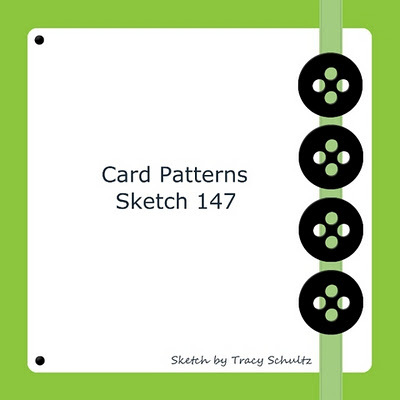 The patterned paper is also from Craft-A-Lot and I really love the muted colours. I coloured her using my Prismacolor pencils. I think I'm finally getting the hang of colouring blonde hair! Super sweet! Love the colour combo you've chosen and that ribbon is loverly! Just sunning Danielle, your colouring as always is superb! She is beautiful Danielle! Great combination of the challenges. Love it! This is absolutely gorgeous! Love everything about this card...beautiful. A great card and your colouring is beautiful Danielle. 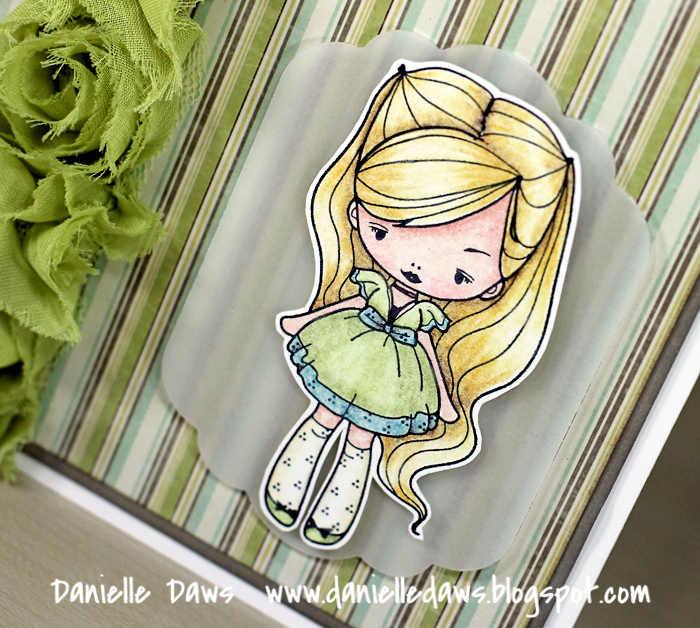 Danielle, I like how you placed this sweet little girl upon some vellum; cool look! Thanks for playing with us at The Play Date Cafe, and Happy New Year! Such a cutie and so perfect with that rose trim. 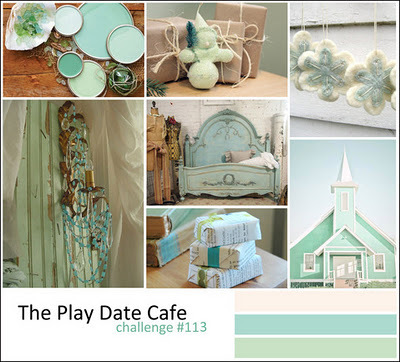 Thank you so much for playing along at The Play Date Cafe. This makes me want to break out my Prismas! Your coloring is fantastic, Danielle, and I love the pretty striped paper you chose for the background. 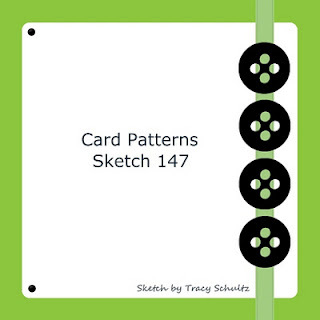 Thanks for joining us this week at Card Patterns!